I must apologise that we haven’t posted for the last 6 weeks! It feels more like forever but 6 weeks is still a very long time. I got a new job and there was a very long training process, however we should not have excuses. Lets go back to Blackpool! Okay so Blackpool is only an hour away so it’s super easy for us to go to and there’s lots to do! As you will have read we went to Blackpool at the weekend to collect our Merlin Annual Passes. Woo! 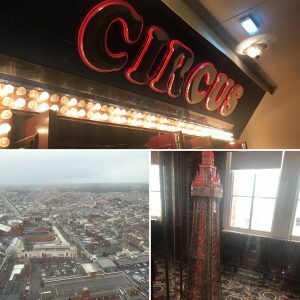 We made the decision to go round Blackpool Tower, Circus and Dungeons. All of these are included on our Merlin Annual Passes and we were already there, so why not? As a birthday treat we went to Delamere Forest to go on the segways – at Go Ape Delamere Forest. This meant get the GoPro’s charged and take a good hour to pick what mounts we wanted to use. This is a normal thing whenever we do something, we never pick the same mount, and then later one of us regrets it (this time it was me).